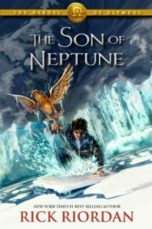 Happiest of Book Birthdays to Roshani Chokski! 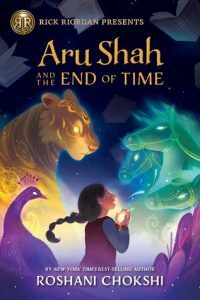 Her marvelous adventure Aru Shah and the End of Time is officially published today, the first title in Disney’s new imprint Rick Riordan Presents! What’s the deal with the imprint? You can read the whole story here. 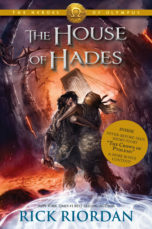 Basically, my goal is to find ‘own voices’ authors who are writing fantastic, hilarious, page-turning middle grade novels inspired by their own mythology, folklore and culture, to publish those novels, and to promote the Hades out of them! 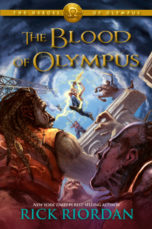 This means I did not write this book, I did not tell Roshani what to write, and it’s not connected to my books in any way, BUT if you like my books, I’m betting ALL my Oreos that you’ll love Aru Shah. Roshani does Hindu mythology-based adventure better than I ever could. But, wait, some of you say, it’s published today? I bought it two weeks ago at the Scholastic Book Fair! You have good taste! It’s true, the Scholastic Book Fairs got an early exclusive to sell Aru Shah before the official publication date. And by the way, Aru Shah blew past all expectations for sales! 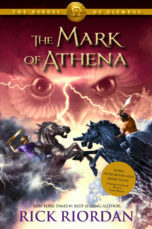 But today is the first day it is officially available at bookstores in North America and from e-retailers. I’m not the only one who loves it! 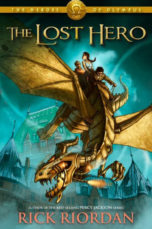 The New York Times today gave it a fantastic review, and it got a starred review from Publishers Weekly!